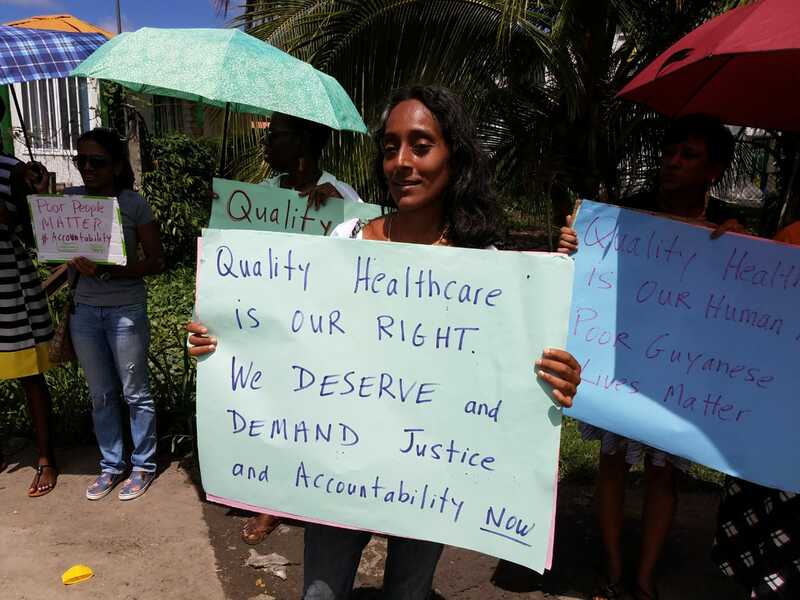 Protestors have once again taken up in front of the Ministry of Public Health, continuing their days of protest against what they call the substandard level of delivery of public healthcare services. 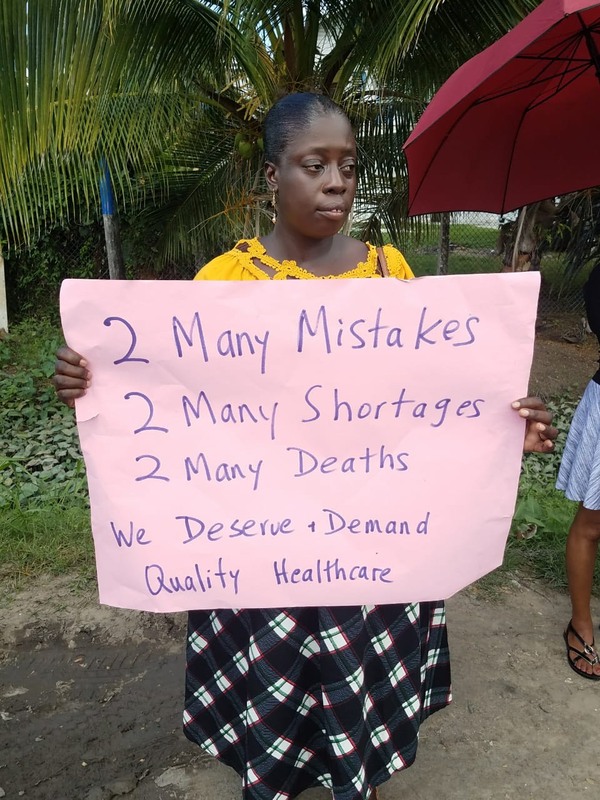 Scores of protestors turned out, including Christina Scott, a Nismes mother who said her newborn baby died at the West Demerara Regional Hospital after being mishandled by medical practitioners there. Waving placards, they publicly urged the Ministry to step its game up and deliver a standard of service required for such a key sector. Christina Scott, mother of a child who died at the West Demerara Regional Hospital. 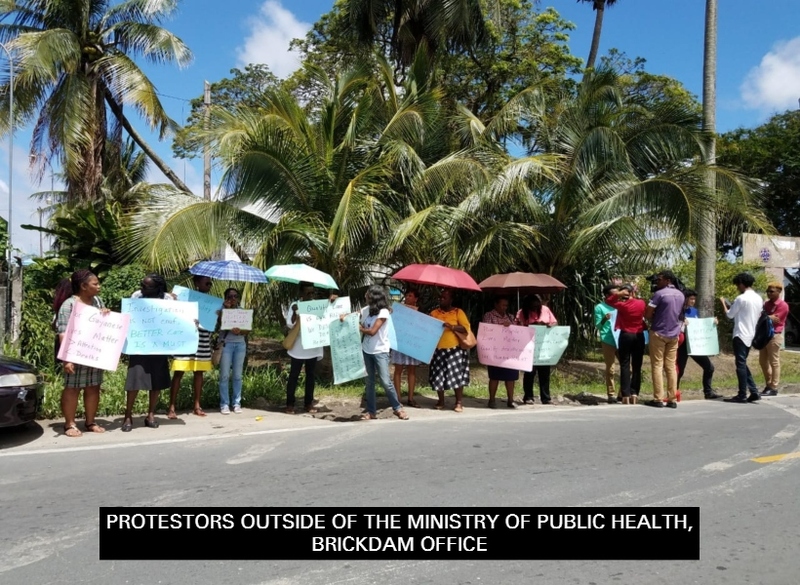 Today’s protest is the second of planned protests in front of the Ministry of Public Health’s Brickdam, Georgetown office and protests will continue every Wednesday from midday. 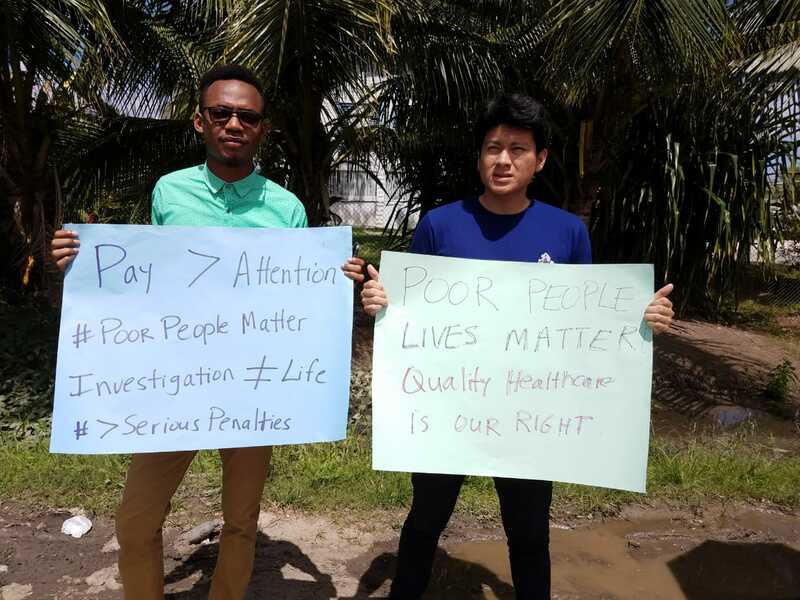 The Protest’s Organiser, Sherlina Nageer, explained that the protest was borne out of frustration with the delivery of the nation’s public health services. The problems within the system, she added, were not new ones. She emphasised that things have not changed significantly from the last administration and problems persist. “I am tired of the same old thing I have to hear, administration after administration. Most poor people keep dying and keep losing their loved ones and their children,” she said. She further urged those in power to make use of the public health facilities themselves. “Let them use it just like the poor people who can’t fly out and have to use it to suffer the consequences,” she said. She also called on administrators to be more accountable and to also keep the Medical Council in check and functioning effectively. She also highlighted other issues such as maternal mortality rate, children deaths, drug shortages, and insufficient reproductive supplies. Meanwhile, protest supporter, Vidyaratha Kissoon similarly called for those in the healthcare service to be accountable, step their game up, be friendlier to the public, and to have ideal persons in the healthcare system. “The Government is responsible for healthcare and therefore quality healthcare is a right and all Guyanese are entitled to that,” Kissoon said. He further said that there is the need for trained professionals in health administration to be in the seats of power. “Health Administration is something people go and study…you see a lot of Oil and Gas people going and study but you’re not seeing anything like Hospital Administration, Primary Healthcare Management, none of those skills,” he said. He said that while Guyanese ought to be proud that access to free healthcare is available, the system ought to be functioning better. He emphasised that the protests demand qualified persons within the system; improvement of drug distribution; improved functioning of the Medical and Nursing Councils; and psychosocial counselling for nurses, among many other much needed improvements.